I feel like the year has gotten off to a slow start but I am still totally convinced that safelist advertising is one of the best free or low cost ways to promote your online opportunities in 2019. During the month of February I used my daily safelist mailings to promote splash pages for my own Mister Safelist. My stats are generated from using only the credit mailers and do not include login ads or banners ads or anything like that. I am upgraded at most of these sites and do spend time every day reading emails to earn credits. I currently submit to 30-40 different safelists. I don’t use every safelist out there and I am constantly updating that list based on my advertising results. I do not include my own Mister Safelist here as I prefer to let other reviewers take care of that. I provide these stats only to show what is currently working best for me. Your results may vary. I decided to mix things up a bit last month. I felt like the splash pages I was promoting were getting a little stale so I swapped them out with some older ones I haven’t promoted in awhile. While one of them seemed to flop the others did much better and resulted in an increase in the number of subscribers I received even though it was a shorter month. Don’t forget to mix up your splash pages and keep your content fresh! That’s all for now. Please note that the stats above are provided only to show what is working best for me. What works best for you might be something entirely different. The only way to know what sites work best for you is to track your own ads. It’s always interesting at this time of the year to look back and see how things have changed in the industry over the last year… even though it may not be that easy to do. I have my own stats that I can look back to but that’s just a reflection of how safelists have been performing for me. For me it seems like things have slipped a bit. I didn’t join as many new mailers, I haven’t felt a lot of excitement from other members, and my own ads which admittedly are probably getting a little stale aren’t performing quite as well as they were at this time last year. That’s fantastic! I think it also says a lot to emphasis how important it is to focus on what you are promoting rather than just where you are promoting it. While I think the stats I am sharing below are good they would probably be a lot better if I were promoting something that was in greater demand. There’s definitely money out there in safelist land to be made, you just need to find the right offer and promote it like crazy! I typically use anywhere from 40-50 safelists throughout the month. Obviously I don’t use every mailer out there and I am constantly weeding out ones that do not perform well for me. I am currently using these sites to promote splash pages for my own Mister Safelist. The number of signups received is how many people have joined my site and confirmed their email address through the pages I am advertising. 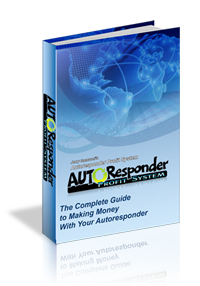 I am upgraded at many of these sites and do spend time every day reading emails to earn enough credits to send my ads. Note that my own Mister Safelist does not appear in these stats because that wouldn’t make any sense. Don’t forget that the stats above are the result of my own efforts and are only provided to show what is currently working best for me with what I am advertising. What works best for you might be something entirely different. The only way to know what sites work best for you is to track your own ads. Maybe it’s just me but lately it feels like activity has been up all across the board. While it seems like traffic exchange have taken a big hit over the last year safelists and viral mailers only seem to be growing as more and more people are discovering how effective they can be. What do you guys think? While the number of new mailer launches is way down from what it used to be there was a very notable launch last month that is worth pointing out. From Kenny and Sammy Kolijn comes List Mailer Plus. While it’s probably too early to tell how well it will perform long term right now activity at List Mailer Plus is pretty outstanding with all of my mailing getting 100+ visitors each. If you haven’t checked it out yet it’s definitely worth joining. Just in case this is your first time here I regularly submit my ads to 40-50 different safelists and viral list builders. I am currently promoting splash pages for my own mailer Mister Safelist which does not appear in the stats below for obvious reasons (everyone there is already a member, silly). The “Sign Ups” below reflect how many people have chosen to join Mister Safelist though my ads and completed the registration process. The sign-ups only come from email ads and do not include banners or login ads. I do have upgraded memberships at a lot of these sites which allow to me to send my ads more often but I do still spend a lot of time reading emails to earn enough credits to send my ads. I don’t use every mailer out there but I do often cycle out less responsive lists to try new ones. My numbers are a little light this month. For one my tracker went down for a few days, I missed stats for the first two days of the month, and I did a little more traveling without my laptop so I missed a few days of mailings. Still, the number of sign-ups I brought in were roughly the same as last month so I can’t really complain. As usual the stats above are the results of my own marketing efforts and are provided only to show what is currently working best for me. What works best for you might be something entirely different. The only way to know what works best for you is to track your own stats. Sorry gang. No stats this month. I took some time off in August to travel and I broke my routine of daily clicking and mailing. The few stats I did gather weren’t enough to give an accurate picture of where to advertise this month so I decided to skip it. However, I am using this opportunity to mix things up and promote something different this month to see how much my stats will change. Definitely check back next month to see how that goes. It is September though so make sure you get out there and advertise every day! There’s lots of new people coming online this month and you want to make sure your ads are in front of them as often as possible. If you’re not already a member do consider joining Mister Safelist today! It looks like we’re bouncing back after the terrible stats from the previous month. Still, considering how long I have been using the same ads it makes sense that sign-ups would naturally decrease over time. I like to think that by using the same ads I can get a better idea of which safelists are bringing in the most “new” members who haven’t seen my ads before. For most people I think keeping your ads fresh will help get you better results than what I am doing here. I regularly submit my ads to about 40 different safelists and viral list mailers. 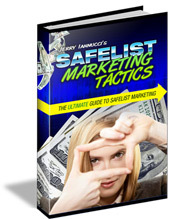 I am currently promoting lead capture pages that promote my ebook Safelist Marketing Tactics. The “Sign Ups” below reflect how many people have chosen to opt-in to my list and verified their email address. I do have upgraded memberships at a lot of these sites which allow to me to send my ads more often but I do still spend a lot of time reading emails to earn enough credits to send my ads. I don’t use every mailer out there but I do often cycle out less responsive lists to try new ones.